So you’ve started a cleaning business and you have equipment, appointments and customers – it’s looking good so far. You know you want to grow your cleaning business but are unsure how. We’ve got some advice to help you increase your profit and also achieve the work-life balance that inspired you to become self-employed. 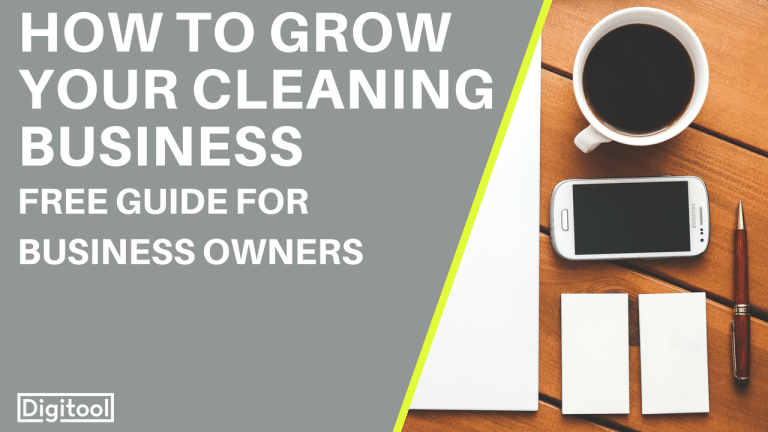 In this article, we’ll show you how to plan and grow to create a successful and profitable cleaning business. 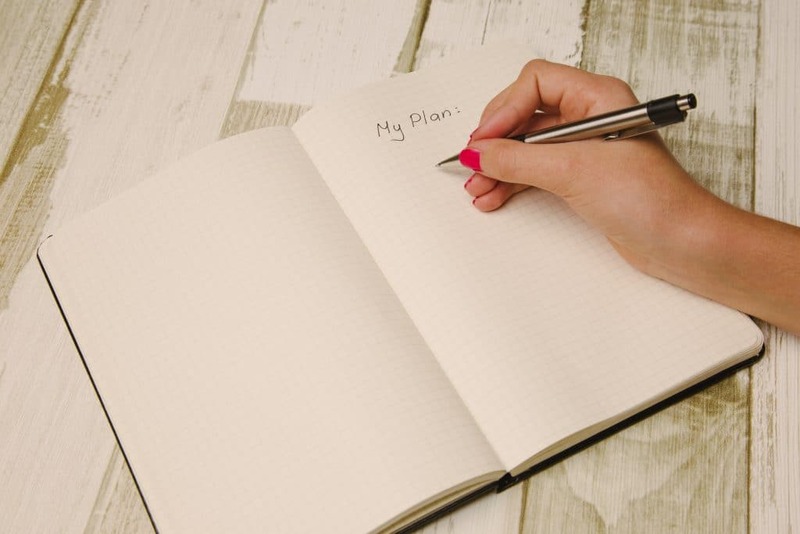 A good plan delivers good results, keeps you focussed and reminds you of your vision – it seems a natural place to start! What is your goal? We usually consider growth as expansion, but this is a one-size-fits-all approach. When you look 1-3 years ahead, is it that you have more employees and customers? Or is it that you are booking big family holidays for every summer? Either way, it is important to list these and rewrite these into ‘SMART’ goals. SMART goals help narrow down your aims and make them achievable. Try and create 5 SMART goals for your business before we think about next steps! I want to go on two holidays with my kids this year to Disneyland and Spain. S – Specific I need £7000 for both holidays and need to take three weeks holiday. A – Achievable I can invest £2000 in Google Adwords, which will give me a return of £8000 or 4:1. R – Relevant The big picture is that I became self-employed to have more time with my kids. A lot of time and money has been invested into the company and it is now time to prioritise time with the kids. This is relevant to achieving my goal. Try using this system to determine your goals. Once we know what we want to do, we can figure out how we’re going to do it. To become more profitable we will look at increasing profits and minimising costs. How to grow your cleaning business – Stage Two: Increase your profits! Sell more to your existing customers – existing customers are a great opportunity to increase sales, as you do not need to generate them as leads. Seeing as you already have had some customers, that might be a good place to start. Upselling is your chance to persuade your customer to spend more on additional products or services. In-person quotations are always a good opportunity to do this, where you can ask if any additional rooms need auditing and encourage customers to purchase more cleaning services. We put a list together with suggestions of complimentary products or services here. A good way to guarantee customers in the future is to introduce loyalty schemes or encourage customers to book in for another service after a period of time. If performing a cleaning for a letting agent, for example, you could offer to book an appointment in for the end of the next lease. Always collect your customer’s email, phone and address! This data is invaluable to you when wanting to communicate with your customer base and increase sales. If you notice a repeat customer has become inactive, try and reach out to them and remind them of the great service you offer. Sending an email or letter to these customers with a special offer could be a great way to get them back on board. After all, the 10% discount is an awful lot cheaper than the time and fees spent on obtaining a new client! When setting up your cleaning business, you probably sought a lot of advice before getting our feet off the ground and then just…stopped. You could have new competitors or fiercer competition than the last time you checked. Schedule in time on a routine basis to take a quick look around – it might highlight some risks and opportunities you didn’t know you had. We’ll start with the familiar; print advertising. Investing in business cards, leaflets, brochures and posters is an effective way to get your name out there but requires some man-hours to distribute them. It is key that your logo and branding is consistent across all publications used to make sure that you have both a memorable and professional brand image. You could save on the costs of distribution by forming a system where you plan to deliver in an area as a result of having a job there, reducing petrol costs and time used. Wouldn’t it be great to know that you have a network of industry professionals passing on your contact with a glowing recommendation? You can make this possible by implementing a referral source marketing scheme and using a system to make it time and cost efficient. The idea is that you make regular visits to retailers that share a target audience with you, bringing them goodies and leaflets and building a relationship with them. Once you are part of their working life and have demonstrated your reliability, they’ll hopefully refer you to potential customers. If you want to see how you can make this work for you, watch our video here. Once you’ve got the offline marketing covered, it’s time to focus on online. Digital marketing is crucial to reaching potential customers. Google is the first place we look for answers, so when people are searching for cleaners in your area, make sure your cleaning business is found. Google Adwords are paid adverts that appear at the top of the search results page, whereas SEO is a technique to boost your ranking in the search results organically. We offer services to help with both of these and also have blogged some useful tips and tricks to get you started: click here to read more. After potential customers have found you on Google or picked up a flyer, they’ll head to your website. This is a real opportunity to sell yourself, so make sure your branding is clear, you detail what services you offer and your contact details are easy to find. If potential customers are on your site this is the perfect time to use calls to action; use phrases such as ‘buy now’ or ‘call now’! Make sure you display your reviews, as third party validation is a huge reassurance for users who have never dealt with you before. All these tips will help you look professional and harness your site as a sales opportunity. When was the last time you shopped around on the products you’re using on a daily basis? We put together a huge list of suppliers here, so you can start comparing and securing the best deal possible. Organise your work as best you can to make sure you’re not driving from town to town between jobs wasting time and money. That way you can fit more jobs in a day too. In the last stage, we spoke about turning one-off customers into repeat customers, and this is another chance to do just that. If you’re travelling out of the way for a customer, check your database and see if there is anyone you can call and let them know you’ll be in the area. Not only will you be proactively filling the diary but you’ll be doing it efficiently too. 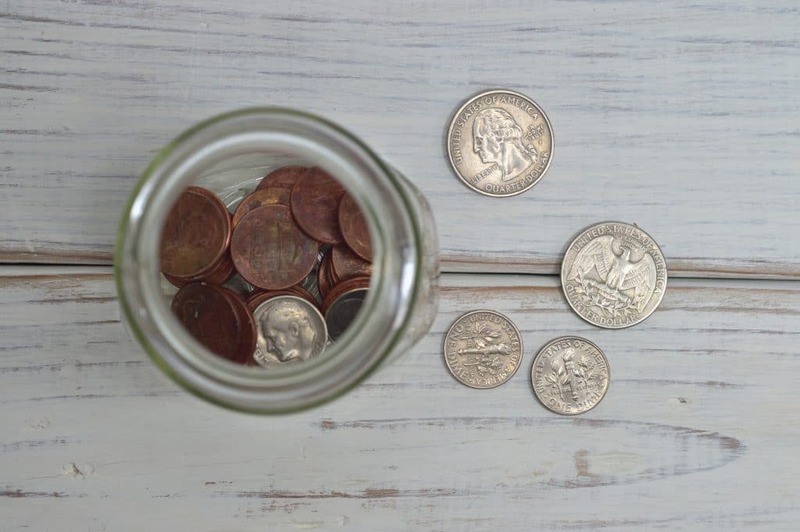 Use systems to save time – and money! Here at Digitool we love Michael E. Gerber’s book The E-Myth. It explains the benefits of breaking down your work into systems. 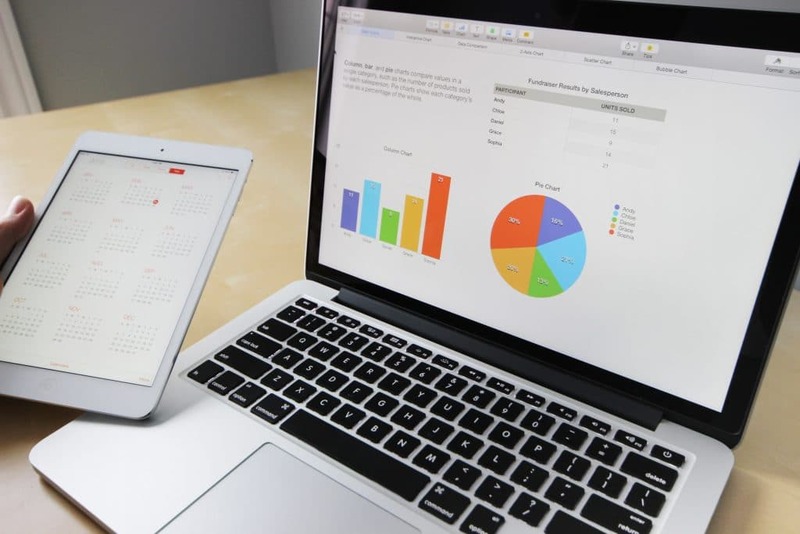 We’ve touched on this in some of our previous points, but to maximise efficiency you should review all the tasks related to running your business and see which can be broken down into a system. 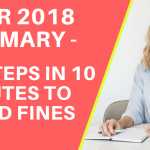 Small things like using scheduling tools for your emails and social media, or planning the route and date for dropping off leaflets can win you back some of your valuable time. Reinvesting this time where it is most needed will help you increase profits in the long run. We touched on the importance of reviews in Stage 2, but as your customer base grows it is important to proactively ask for reviews. It is the validation new customers are looking for, proving you are reliable and great at what you do. When you’ve finished a job you’re proud of, don’t be afraid of reaching out and asking for them to review you. It might feel a bit cheeky or outside your comfort zone, but it will secure your reputation and make all the hard work worthwhile. We put together some tips on how to get more reviews here. It can be hard receiving critical feedback, but if you do, see it as an opportunity rather than a set back. Identify the cause of the issue and fix it at the root. For example, if timeliness is a problem, could you employ more staff or target some training for your team? Take positive action to maintain your status as a profitable cleaning business! Good luck achieving your goals. Here at Digitool we created the Toolbox where we regularly upload free marketing tips. Have you got a question for us? Post your comment below!